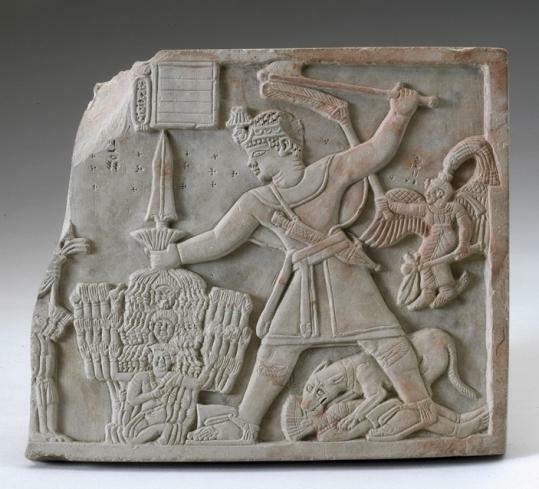 This sculpture, which is called “Prince Arikankharer Slaying His Enemies,’’ in the Worcester Art Museum, is from the land of Kush, in what is now Sudan. It was made around A.D. 25-41, by an artist from Meroë, a pyramid-strewn city on the Nile, just north of that river’s division into the White and Blue Niles. Every time I set eyes on it, my eyes are drawn to what is going on in the lower left quadrant. I don’t quite know what to make of it. But one thing I can say for sure: it’s shatteringly violent.